This provider is not accepting online appointments currently. Call the doctor's office at (503) 445-8114 to book an appointment. Lindsay M. Baum, ND graduated from the National College of Natural Medicine. 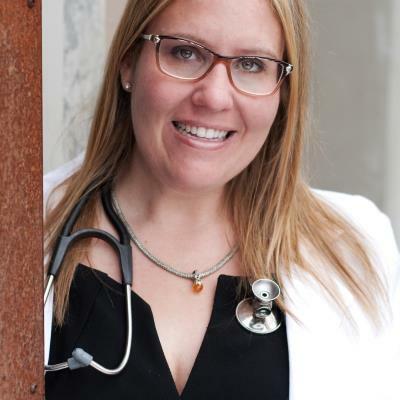 Her professional interests include family medicine with an emphasis in pediatrics, men's health, pelvic pain disorders and rheumatological and autoimmune disease. Dr. Baum collaborates with a network of providers specializing in reproductive health, male and female infertility, pelvic pain conditions and erectile dysfunction. Her areas of focus are nutritional assessment and performance optimization, homeopathy, botanicals, traditional naturopathic medical care, pediatrics, physical manipulation, and crisis intervention counseling. She acts as a Clinical Research Coordinator in Rheumatological disease at Providence Portland Medical Center in Portland. In 1999 Dr. Baum completed a BA in both Poetry WritingReading and Native American Women's Health with a minor in Anthropological Education at Hampshire College in Amherst Massachusetts. Dr. Baum is a graduating member of the Naturopathic Presidential Ambassadors Leadership Program after acceptance in 2006. She is a leader in legislative issues pertaining to licensure of Naturopathic physicians in the United States and on Native American reservations. She is a nationally certified Sexual Assault Medical Examiner a forensic medical examiner for survivors of sexual crime.